On Thursday, the Administration announced its proposed tax bill and to say it caused a stir is an understatement. Tax bills always create a buzz, but this one in particular has rocked the real estate industry at its core. What’s so different about this bill that is causing such concern? It appears that without analyzing the details, rumors are flying about how this will be the demise of the real estate industry ,and the benefits of the bill are being ignored completely. If we dive into it, it’s clear that if the bill passes, it will be the biggest change to the tax code in decades, but how does all this change impact the average person? Much to everyone’s relief, the proposed bill will not affect anyone’s 401K. For the majority of you who default to taking standardized deductions over itemized deductions when you file your taxes each year, you’ll be glad to know that the standardized deduction will double if this bill passes. Which means, you’ll see a greater return with no additional effort. A major win for everyone, especially the average taxpayer. 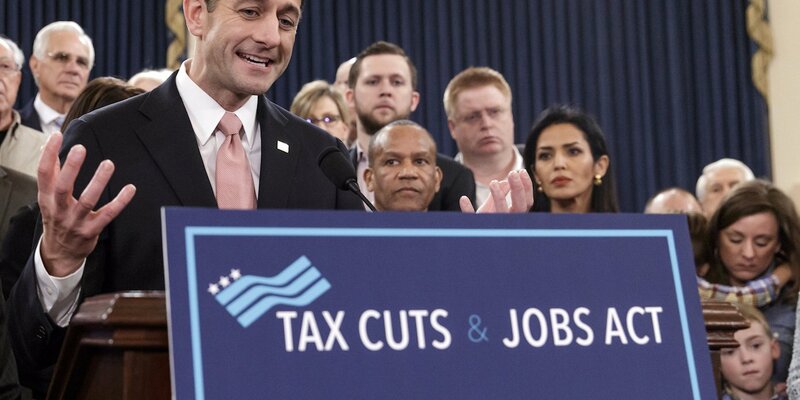 Even though tax brackets are being consolidated from 7 to 4, the impact remains minimal with the additional deduction set to counteract and level the playing field. One of the major advantages that’s being overlooked is the elimination of the Alternative Minimum Tax (AMT). An early version of the AMT which was introduced in 1969 and revamped to what it is today in 1982. You’ll all agree that we’ve come a long way since the 80s, but despite our technological growth and expansion, the AMT has not evolved. Not only has the AMT failed to serve its purpose of impacting the ‘upper class’ it has negatively impacted the ‘middle class’ due to its failure to account for inflation. Instead of making things fair, it’s had a punitive effect on the majority of the population. Eliminating this failing mechanism, along with changes in the corporate tax rate will allow for major shifts in how quickly small and medium businesses can grow and where they stand in the world of corporate giants. The decrease from 35% to 20% will save approximately 1.5 trillion dollars in the next 10 years. Those savings will inevitably be pumped back into the economy, preventing the potential for another depression that will devastate us all. The corporate tax break will help keep jobs in the US instead of the need to take them overseas for cost reduction. It will in turn create more jobs with production remaining inhouse, allowing companies to pay employees more money without the fear of negative tax implications both for the company and the employee. This will also allow for more ethical production of goods as employee protection laws are in place in the US, but may not be elsewhere. Not only will employees get paid more for the services they provide, you’ll also feel good about your purchases knowing you’re not perpetuating the poor treatment of others. How does all this tie into real estate and what happens to those who already own property and those who are trying to get into homeownership? In order to understand the impact taxes have on the real estate industry, we must first understand why people purchase properties to begin with. For the majority of home buyers, the purpose of a purchase is to own property. Homeownership has been part of the American Dream since the Founding Fathers introduced the concept of Manifest Destiny and the need for independence. It’s ingrained in the fabric of our country and can never be overlooked. Homeownership creates a sense of accomplishment and pride. The mortgage debt deductions and property tax deductions that come with ownership are just a bonus when it comes to achieving the ultimate American Dream. The average price of a home in the US is under $400,000, but depending on where you decide to plant your roots, the prices will vary. If you’re in a major metropolitan area, this number might seem completely absurd to you, but you have to remember all the other conveniences you have while living in those areas that may not be available elsewhere. You’re not just paying for the space, you’re paying for the lifestyle. Location choices will impact how averages apply to individuals, but we have to keep in mind that federal taxes are tailored to the average US citizen and can’t be modified on a case by case basis. Another major change impacting the real estate industry is the reduction of the mortgage debt deduction. Homebuyers are in a frenzy, rethinking their decisions to stop being renters, but they’re losing sight of the big picture. Why do they want to own property? For the average buyer, it’s not for tax purposes, it goes back to the American Dream. If we take it a step further, considering the average purchase price of a home in the US, the changes have little to no impact on the majority of homebuyers. The difference between $1,000,000 and $500,000 only apply to a narrow group, mainly those who are wealthy enough to afford a $1,000,000 price tag. Already a homeowner and worried about decisions to sell based on the principal residence requirements, there’s really no need to reconsider. The average homeowner keeps their house for seven years before deciding to sell, whether it’s to upgrade or downsize. These averages are based on major life changes that tend to occur in 7 year increments. The principal residence requirements are proposed to increase from 2 years out of 5 years to 5 years out of 8 years. It’s highly likely that you’ll own your property for greater than 5 years based on the average so this change won’t even matter to you in the long run. Whether you’re on the tail end of a major life change or just starting one, your likely to meet the 5 year requirement by the time you decide to sell. In evaluating the proposed tax bill, there must be a big picture analysis instead of looking at the changes piecemeal. It was designed to be applied as a whole, so it takes into account the varying levels of changes that will balance each other out in the impact on the average US citizen. This proposed bill is not meant to throw the real estate industry off balance. These changes are part of a carefully constructed tax plan intended to stabilize the whole. So before you let the rumors instill fear in you, look at where you fall in the spectrum and where you’ll be in the next 7-10 years, it’s likely that you’ll realize the benefits outweigh the disadvantages. Thank you very much Harout! An amazing read on the new tax plan especially for homeowners.